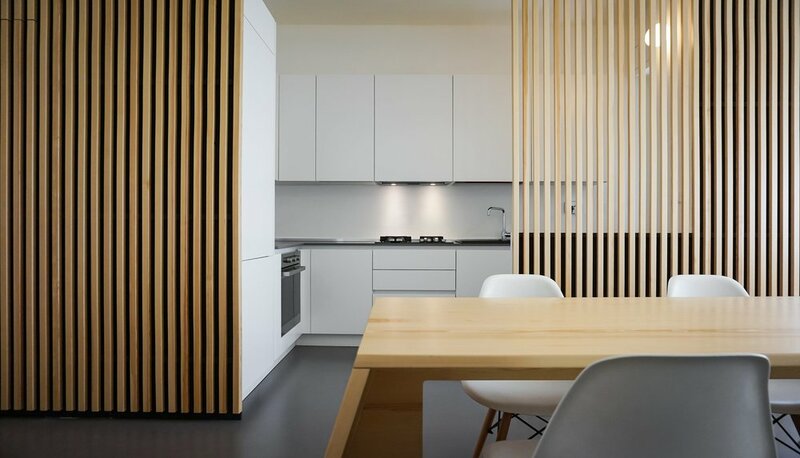 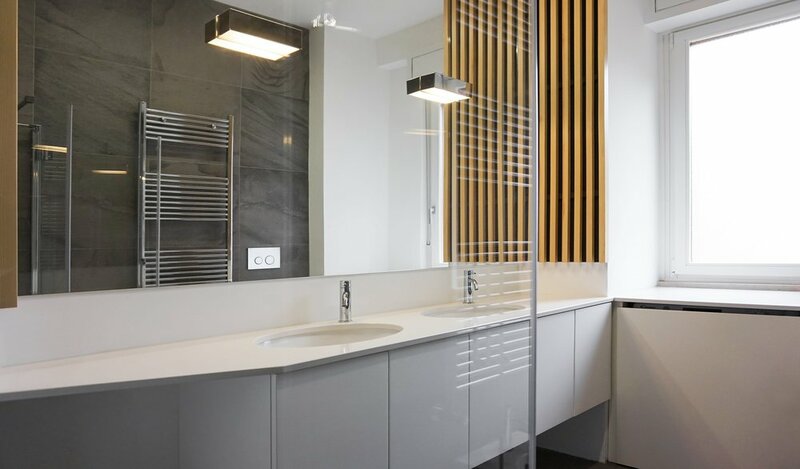 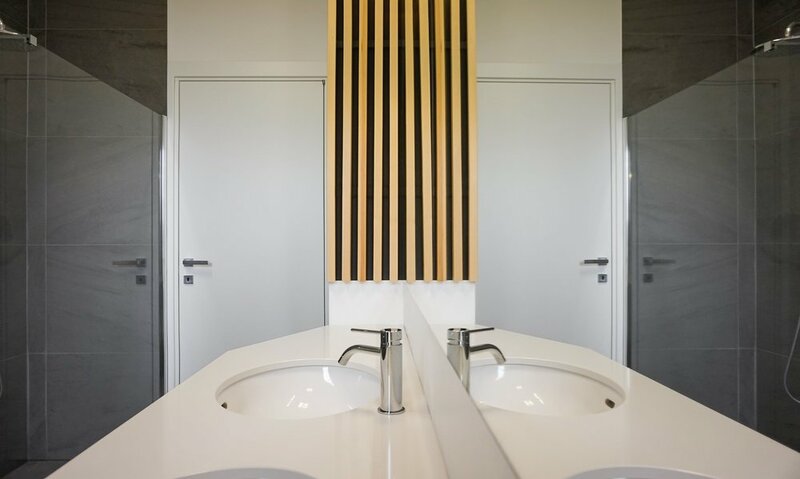 Located in Turin, Italy the Renovation in Turin is a minimalist designed apartment created by Edoardo Pennazio. 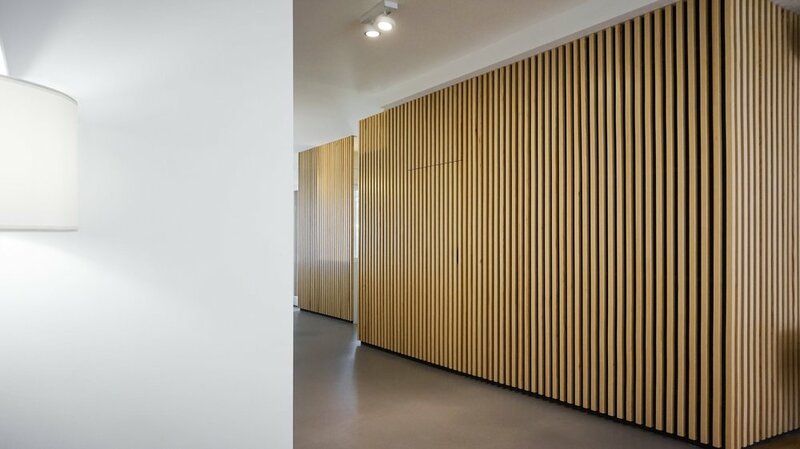 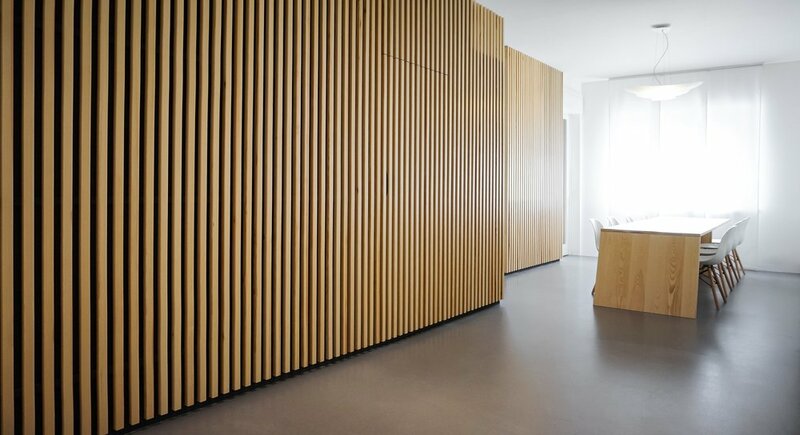 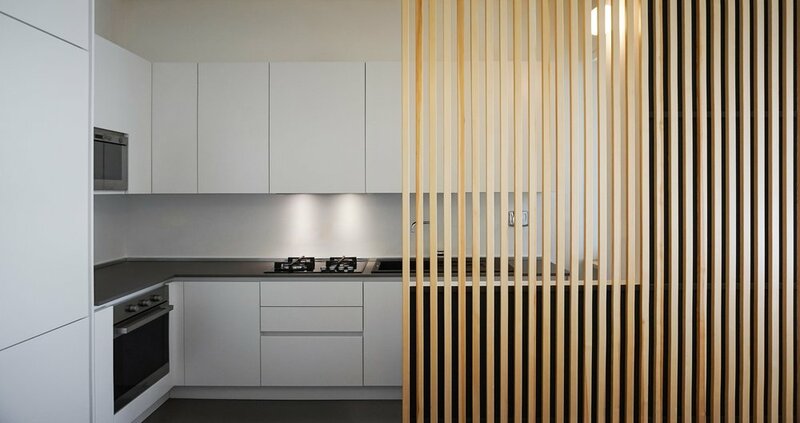 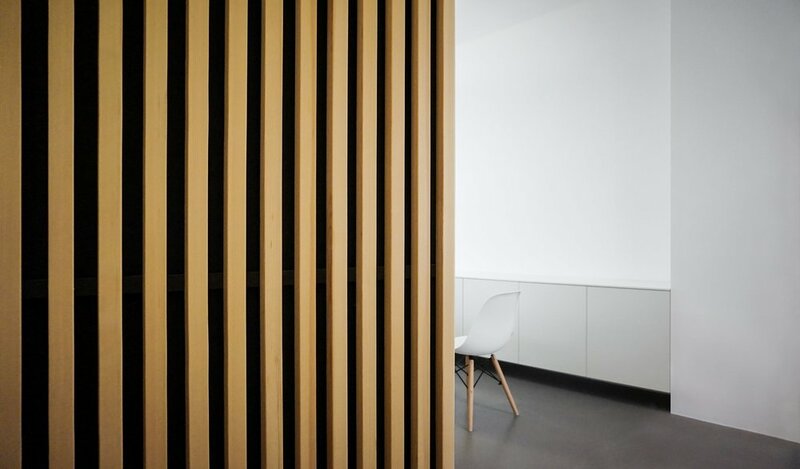 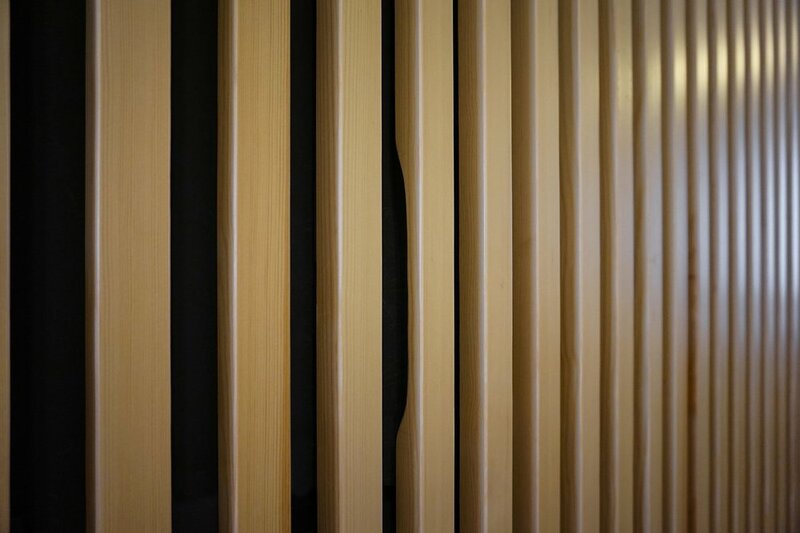 The wooden slats that adorn the apartment visually connect the eye through an aesthetic journey. 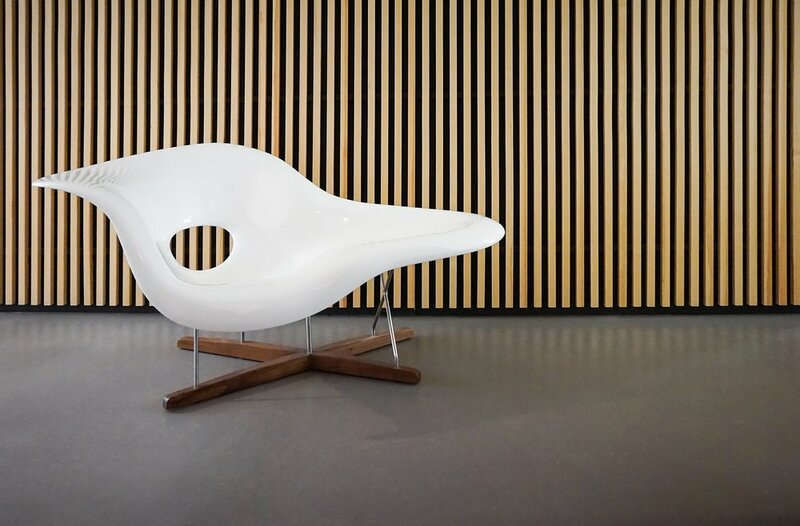 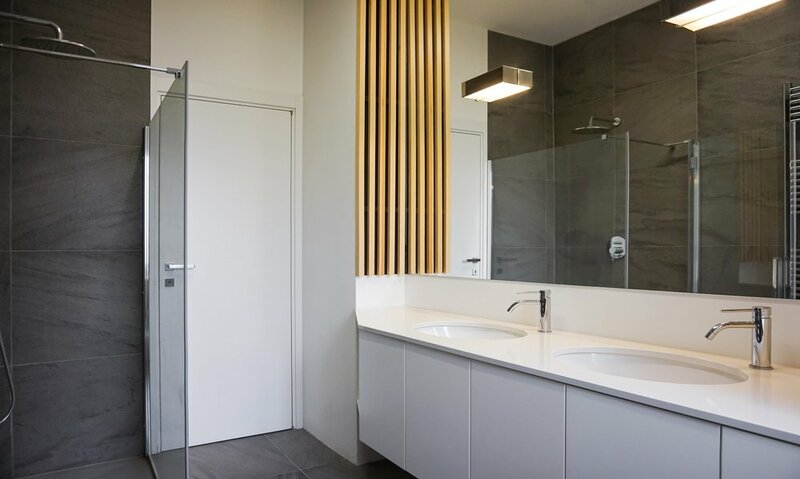 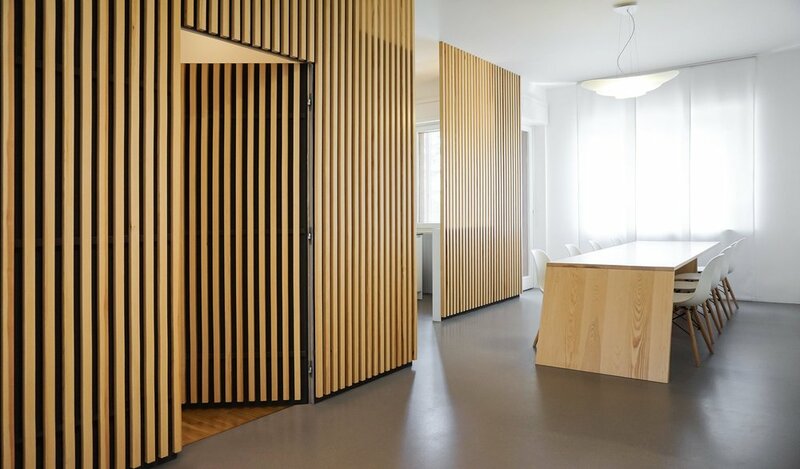 Not only are they visually pleasing, they provide a functional purpose such as creating a distinct break between rooms and concealments of doors and hinges. 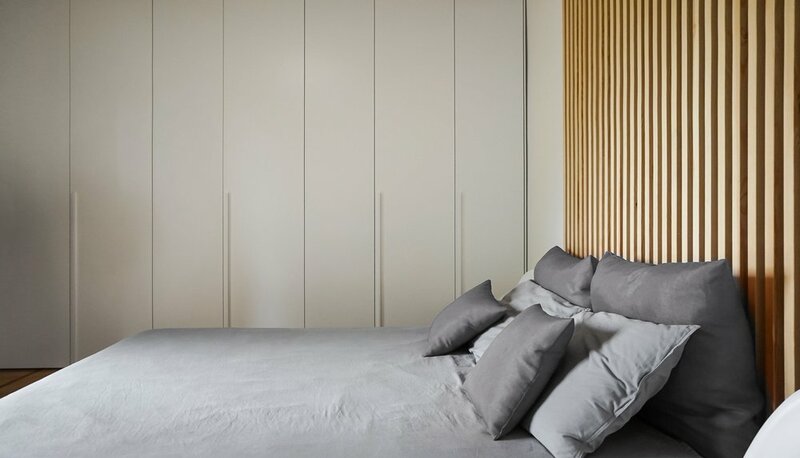 Proving the metaphorical function of the apartment's bare bones, the wooden slates create a connecting divide throughout the home from the living area through to the bedroom as they morph into the headboard and on to the bathroom.